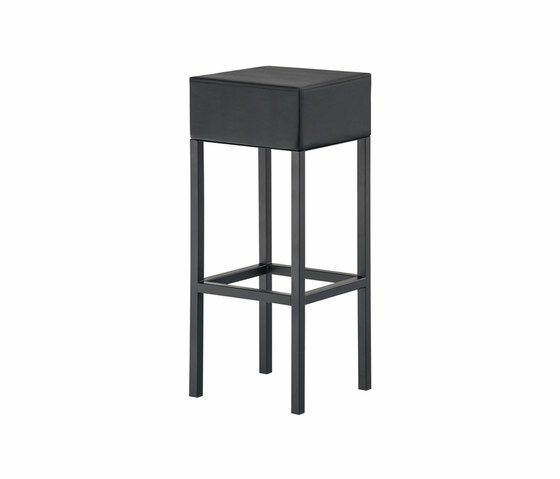 Cube bar stool full colour version, black or white powder coated 25x25mm square steel tube frame. Injected foam, fire-retardant upholstered seat covered with simil-leather, mid grain leather or fabric. Height 800 mm. Also available versions height 650mm (item 1402) and 500mm (item 1403).